Although domestic gravure printing machine manufacturers have been struggling to catch up with leading foreign companies in terms of technology, the development of domestic enterprises has made the development of domestic enterprises difficult due to the extensive growth mode. There are a large number of domestic gravure printing machine manufacturers, the development speed is fast, the level of specialization is low, the overall technical level is low, and the proportion of enterprises with strong strength is small. There are currently more than 50 gravure press manufacturers in China, which is more than the number of gravure press manufacturers participating in the Drupa 2000 exhibition. According to the provinces and cities, there are 11 (21%) in Shaanxi, 10 (19%) in Guangdong, 20 (38%) in Zhejiang, and 8 (15%) in Jiangsu. In addition, there are at least 1 in Beijing, Shandong, Hubei, and Hebei. Home, the actual number may be more. Most gravure press manufacturers are located in areas where flexible packaging and printing plants are concentrated, and some are actually developed in parallel with soft packaging plants in the region. The technology in China and Japan is about 10-15 years apart, and some components and structures have reached the level of Japan in the early 1990s. The gap with Korean equipment is relatively smaller. Compared with European products, the domestic gravure printing machine has a larger gap. The reason is that European equipment has reached a higher speed, more powerful, and has a more important position in the world market. Compared with manufacturers with international leading level, the overall technical level of domestic gravure printing presses is at least 20 years apart. The market internationalization level differs by at least 30 years. Poor stability The domestic printing speed is generally below 150 m/min, while the advanced equipment in Asia is between 150 and 250 m/min. Some domestic gravure printing machines have been able to compete with most imported gravure printing machines in terms of I; P6~ speed, control system, price and after-sales service, but the stability is quite different. A considerable part of the newly developed domestically produced machines cannot pass the acceptance test after installation and commissioning, and the quality and efficiency during the operation are unsatisfactory. Domestic equipment has a small proportion of wide-format machines. Currently, it produces up to 10 color groups. There is no in-line processing (such as compounding and slitting) units, and there is no “series” configuration. 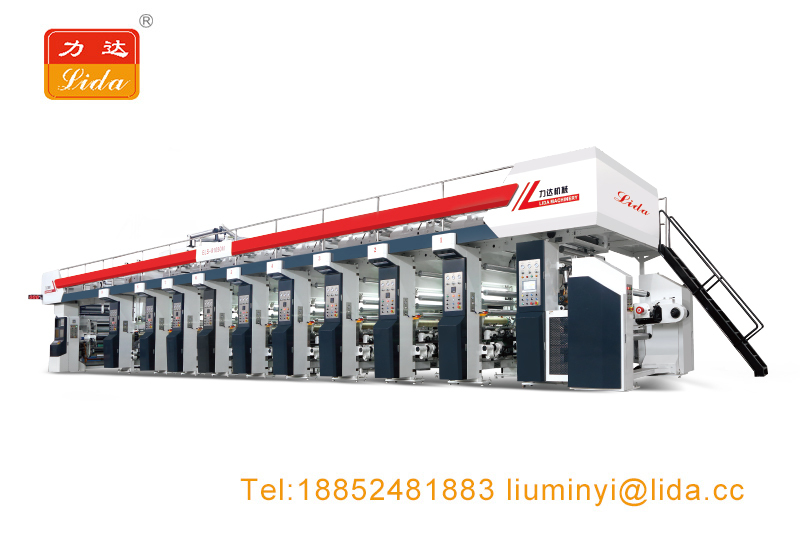 For example, the automatic tension control system for the web gravure printing machine, the automatic registration control system and the automatic inspection system for printed products are also provided by specialized production enterprises. China’s printing machine manufacturing industry has long been accustomed to large, all or small and full production mode, especially the enterprises of similar products are often closed to each other, the result will inevitably cause heavy burdens on enterprises, mutual constraints, it is difficult to get the advantage A*I- ,Develop together. If we seriously investigate how many parts of the gravure printing machine produced by China’s gravure printing machine manufacturing enterprises are provided by professional manufacturers, we will understand the backwardness of China’s specialized production level. In the three main printing methods of offset printing, flexographic printing and gravure printing, the pollution caused by gravure printing is the most serious. In order to reduce pollution, the foreign printing industry has taken effective measures and achieved good results. For example, the heavy-duty carbon paper corrosion gravure plate-making process has been eliminated for a long time: in the process of pre-processing of the plate cylinder and gravure etching gravure and electronic engraving gravure, the treatment of waste liquid is strengthened to reduce the pollution of gravure production: In the printing of enamel printing, gravure water-based inks have been successfully developed in the mid-to-late 1990s. All paper printing uses gravure water I~Eia ink, and plastic film printing also has no score for I~Eia ink. This is the current gravure printing abroad. The main reason for not maintaining a 15% market share. At present, the waste liquid treatment in the process of pre-processing and gravure production of plate cylinders is slow: in printing, whether it is gravure of paper or gravure of plastic film, the price of imported water-based Eia ink is too high, basically using solvent. Gravure ink.